You’ve invested a lot of energy gathering and curating so many great movies and TV shows in your Plex Media Server, wouldn’t it be great if you could share all that content with your friends? With a few small tweaks, you can–we’ll show you how. If you’re anything like us, you’ve probably spent a lot of time building up your media center and carefully curating movies and shows you really love, complete with carefully picked fanart to go with it. It’s a shame to not share that kind of content with your friends when Plex Media Server makes it so easy to do so. 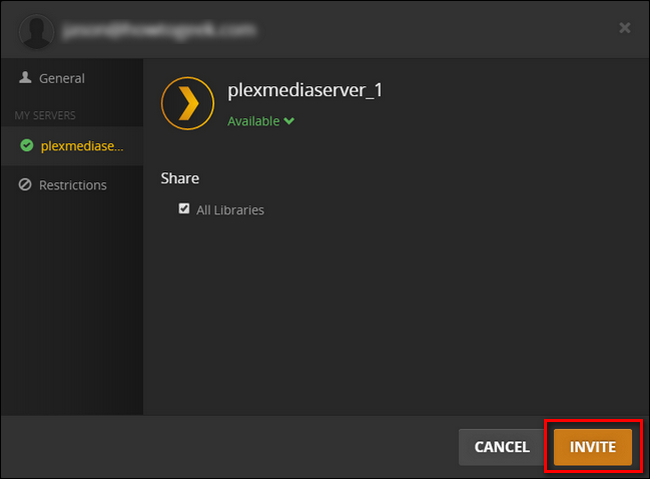 With very little effort, you can configure your Plex Media Server to share content with your friends (and your friends can, in turn, share their content with you using this same tutorial). Now instead of conversations like “Oh man, have you seen XYZ show? It’s the best sci-fi I’ve seen in ages…” and then explaining what channel to watch it on and when, you can just tell your friend to check out the new show on your media server and tell you what they think. 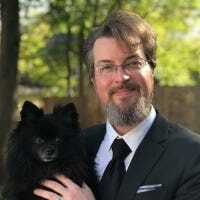 Before we dive into the tutorial, however, there is one situation where sharing your Plex Media Server is a poor fit: if you’re stuck with a cruddy, low speed connection at home. If you already have a hard enough time accessing your own Plex Media Center while you’re away from home due to a slow upload connection, then sharing the same connection with one or more friends will just lead to frustration. Barring that, however, sharing your personal library is a fun way to share your favorite media with friends. Let’s take a look at what you need to get started and some minor considerations. To follow along with this tutorial, you only need a few things. First and foremost, you need a Plex Media Server up and running. While we can presume, if you found this article, that you have a server up and running, some readers may need to backtrack and read our guide to setting up Plex first. Second, you need to ensure your Plex Media Server is accessible outside your home network. While its practically impossible to set up Plex so you can’t access it within your home network, sometimes you need to do a little troubleshooting to ensure you can access it when you’re away from home. If remote access doesn’t work for you, it certainly won’t work for your friends. Finally, each friend you share your media center with needs a free Plex account. Note, they do not need their own Plex Media Server. If they have their own Plex Media Server and can turn right around and share their server with you, that’s great. If they don’t have a Plex Media Server, no big deal: their primary libraries will simply default to the libraries you share with them. They can sign up for their free account here. Once you check the prerequisites off–server set up, accessible from outside your home network, and your friend has a Plex account–the rest is very straight forward. To get started log into your Plex account and look for the profile icon in the upper right corner. Click on it and select “Users”. On the left hand side of the resulting menu, select “Friends”. In the “Friends” menu, which is where you’ll manage friend requests and invitations as you continue to use the system, you’ll see an entry in the upper right navigation bar “Invite Friend”. Click on that now. 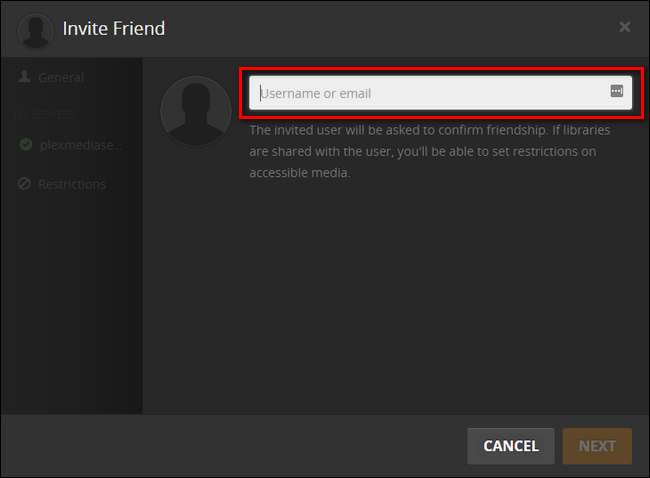 In the invitation box that pops up, enter the email address your friend used to register for Plex. If they have not yet registered for Plex, you can send it to their primary email address (they’ll be prompted to create a Plex account when they accept your invitation via email). Click “Next” once you’ve entered their email. In the next screen, the invitation wizard will show your available Plex Media Servers. For each server you can select whether you wish to share all your libraries or some of them. If you uncheck “All Libraries” in the “Share” section, you’ll be able to individually select which libraries are shared. Unless you have a pressing reason to not share a library, it’s easiest just to leave them all shared. You may notice the “Restrictions” tab beneath your servers. The only restriction toggles available for free users are sharing/not sharing the “channels” function. By default, this share is turned off and we recommend you leave it as such; if both you and your friend subscribe to the same channel like, say, the BBC world news channel, then your settings for the channel will overwrite theirs. All other restriction settings (like restricting content based on ratings), is limited to users with Plex Premium accounts. Once you’ve selected which libraries you wish to share, click “Invite”. At this point the central Plex system will send an email to your friend’s account. They need to open that email and click on the invitation link to confirm your invitation. When someone shares a library with you, you receive both an email notification as well as a notification within your Plex dashboard. Let’s look at two scenarios, one where the Plex library shared with you is your only library and one where the Plex library shared with you exists alongside your own library. For this tutorial, we shared our Plex Media Server with our friend, “J” who has no Plex library of his own. Here’s what our invitation looks like in J’s dashboard. To accept the request, you need to first click on the profile icon in the upper right corner, just like we did when we sent the invitation from our account. Click on the profile icon then select “Users”. The “1” subscript on both icons indicates the invite has already arrived. Click on the “Friends” tab in the left hand menu and then click the green checkmark next to the invitation to accept it. Once the invitation is accepted, if you return to the main Plex screen you’ll see that J’s library has defaulted to our library and his previously empty dashboard is populated with media from our server. At this point, our friend J has full viewing rights to all the libraries we’ve shared with him, and can easily watch whatever he wants. The Plex system will track what he’s watched, keep track of where he left off while watching, and give him all the other benefits we get from Plex Media Server. 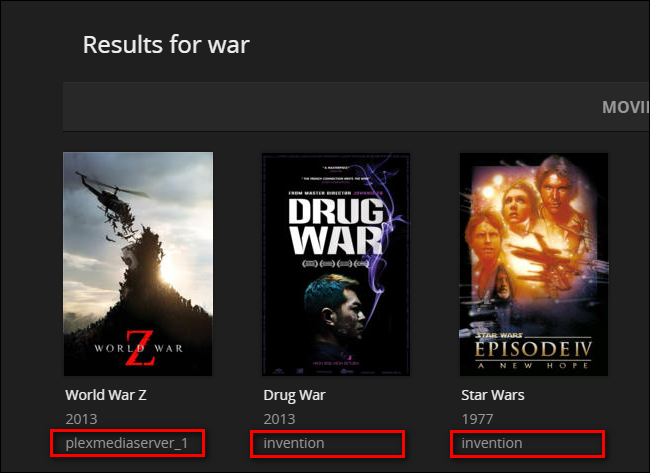 What about when someone shares a Plex Media Server with you, however, and you already have media of your own? You simply switch between the server you wish to access with a toggle. While logged into your Plex Media Server control panel or using any Plex Media Server app (like Plex for iOS), you just click on the server selection menu, seen below and located in the upper left corner of the web control panel, and pick from the other available servers. In the screenshot above, you can see our server (not so creatively named the default “plexmediaserver_1”) and our friend’s server “invention”. To watch the shared content, we simply switch between the two servers with a click. Pool the resources of a couple friends with diverse tastes and large libraries, and suddenly you’ve got a pretty nice selection of titles across a wide variety of genres. It doesn’t take a whole lot of effort to get a Plex sharing up and running, but once you do you can not only share your favorite movies and shows with your friends but, in turn, enjoy their favorites too.